Thank you all for your Kaboodle Contest submissions. We had a lot of fun looking through and admiring them. And the winner of the $100 ModCloth gift certificate and holiday cheer is…Amy! Pop Art Chic And Functional: For the whimsical but practical girl with a bright sense of style. Making this decision was tough. So we chose Andrea and Rebecca as runners-up. They will each receive our warmest wishes and a 10% off coupon for their next ModCloth purchase! P.S. Winners, please friend us on Kaboodle, so we can send you your prizes. What a fun contest this was!! More, more! Amy’s design is indeed very cool. Amy’s design was nice, but i thought Andrea design was better. Thanks Modcloth! Congrats, Amy. The theme of your styleboard is really cool. Congrats!!! Loved looking at everyone’s styleboards! 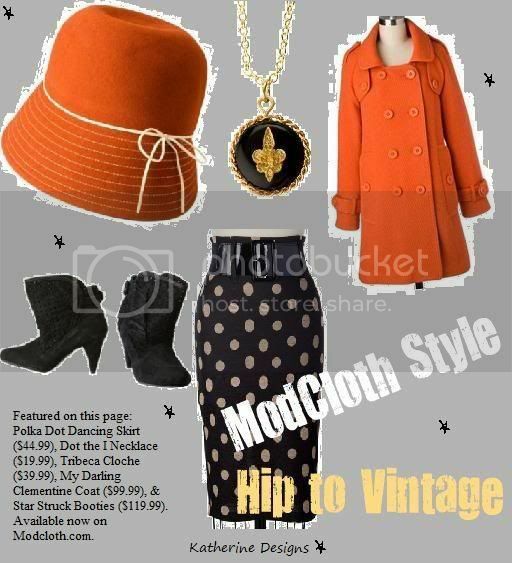 I was bored and found this too late, but decided to make a sort of styleboard/magazine layout style ad for you guys at modcloth.